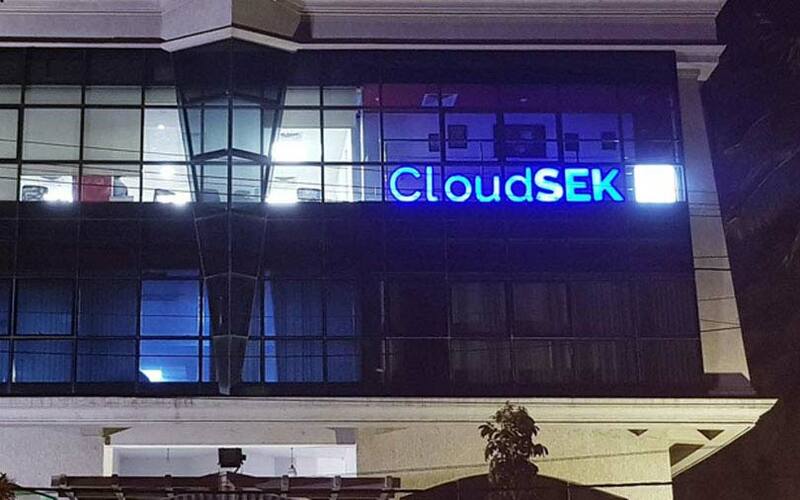 CloudSEK, a security risk-management startup which operates on a software-as-a-service (SaaS) model, has raised Rs 14 crore (a little less than $2 million) in pre-Series A funding led by early-stage investors Exfinity Venture Partners and StartupXseed. In a statement, CloudSEK said that it will deploy the fresh capital for improving its flagship product, a unified risk management platform called XVigil. The company, whose cybersecurity platform is powered by artificial intelligence and machine learning, will also use the money to expand its footprint across India and Southeast Asia, it added. Founded in 2015 by Rahul Sasi, CloudSEK is headquartered in Singapore and has an operations centre in Bengaluru. Sasi previously worked with cyber threat intelligence firm Sight Partners. The startup was seed-funded in 2015 by ME Meeran Foundation, the investment arm of Kochi-based Eastern Group. CloudSEK said it helps organisations identify, assess, control and monitor cyber threats in real-time. It claims that its platform is able to provide timely, specific and actionable intelligence to organisations, allowing them to intervene and prevent costly breaches and losses. “CloudSEK's unique non-intrusive solution can detect digital footprint leakages of any enterprises in real-time, helping chief security officers to strengthen their cyber defence," said Chinnu Senthilkumar, general partner and chief technology officer at Exfinity Venture Partners. After establishing its presence in the finance, e-commerce and transportation sectors, CloudSEK said it now plans to target the pharmaceuticals, petrochemicals and retail industries. CloudSEK’s chief executive officer Sourabh Issar said the company primarily generates revenue via licensing of its products. A couple of other cybersecurity startups have raised funding in the recent past. Last month, Lucideus Technologies Pvt. Ltd, which provides digital security services for companies, raised $5 million (Rs 36 crore) from JC2 Ventures, the investment firm of former Cisco executive chairman John T Chambers. Before that, security solutions startup Sequretek IT Solutions Pvt. Ltd raised Rs 27 crore (approximately $3.7 million) in a bridge round of funding led by Mumbai-based venture capital firm Unicorn India Ventures. Exfinity Venture Partners is an early-stage technology fund which invests in business-to-business (B2B) enterprise companies in India and across the India-US business corridor. The firm is led by IT industry bigwigs V Balakrishnan, Mohandas Pai, Deepak Ghaisas and Girish Paranjpe. In July, it backed Bengaluru-based big data analytics firm IQLECT Software Solutions Pvt. Ltd.
Last year, it had invested in augmented and virtual reality firms GridRaster Inc and Absentia Virtual Reality Pvt. Ltd.
StartupXseed is a seed-stage venture capital firm led by bureaucrat-turned-VC investor BV Naidu. It is backed by former Infosys board members V Balakrishnan and TV Mohandas Pai. The firm invests out of Aaruha Technology Fund, which focuses on deep-technology startups creating products for B2B businesses. It has backed IT security firm ShieldSquare, unmanned aerial vehicle maker Aarav Unmanned Systems, agri-tech startup AIBono (formerly Airwood Aerostructures), enterprise human resources management platform DarwinBox and fab-less semiconductor company Siliconch Systems.